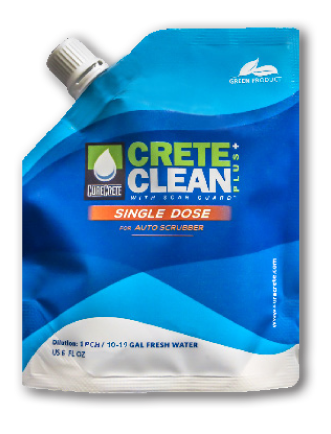 CreteClean Plus – SINGLE DOSE | 6 oz. Pouch – Curecrete Distribution, Inc.
6 oz. Single Dose → 10-19 gallon auto scrubbers. *Priced per case (9 pouches). One pouch, one tank. Specifically designed to condition and enhance regular concrete, densified concrete, densified-polished concrete floors and all hard surface floors (not wood).